All of the best in one! 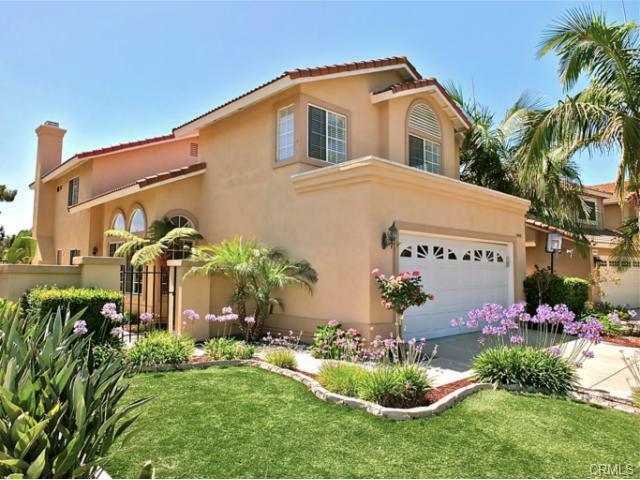 This beautiful home is located on an interior cul de sac, view lot. A bright open floor plan with formal living and dining rooms. The kitchen, eating area and family room lead out to the comfortable patio and spacious rear yard with views of Laguna Niguel. The master bedroom and bath, both with views, offer a walk in closet, tub, dual sinks, granite counters and a huge shower. Low maintenance front yard and gated entry. Separate Laundry room and attached garage. The association includes membership to The Club in Rancho Niguel, offering 3 Pools, Tennis, Vollyball, Racquetball and other sport courts as well as a Fitness center, Playground and much more.